In 2017 we’ve reviewed most of the recent models from the best drone brands, for the purpose of helping you discover the perfect quadcopter for your need. If you’re looking to buy your first quadcopter right now, the answer is Eachine E58. It’s portable, beautiful and comes with lot’s of features, making it the best beginner quadcopter available now. 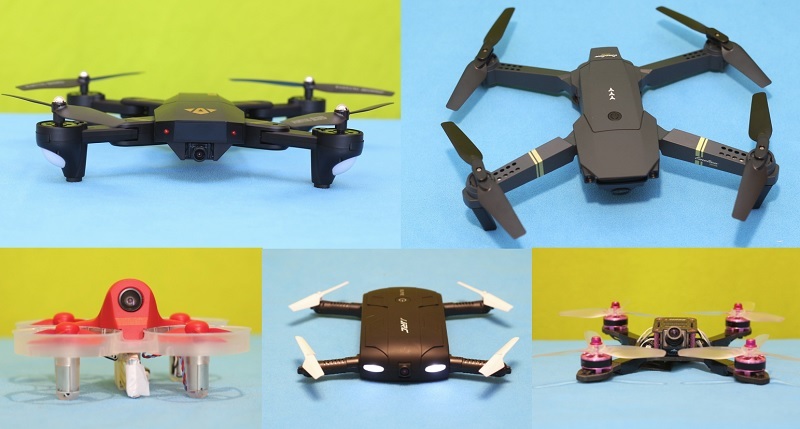 For years, Eachine has offered great value in its quadcopters, this is why in our top 5 picks you can find two of their drones. While the E58 is suitable for newbie pilots, the M80S is recommended for intermediate and advanced pilots as well. 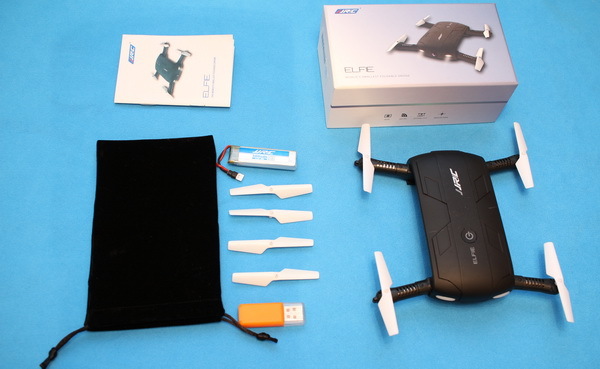 Surely, our TOP 5 quadcopter review list couldn’t be complete without the JJRC H37 Elfie. For two years in a row (2016 and 2017) it was the most popular selfie drone under $50. 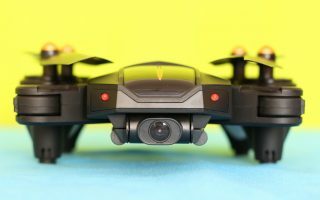 The VISUO XS809HW has been on the top of our best quadcopters under $100 list for last year. It features similar design as the much more expensive DJI Mavic Pro. Due to the foldable arms you can take it with you everywhere. According to your budget you can opt for 0.3Mp or HD camera. 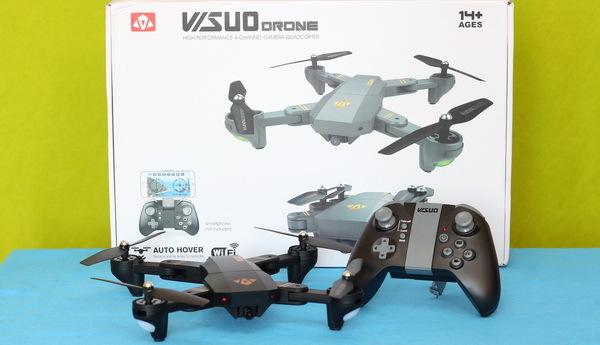 You also have the choice to control the Siluroid XS809HW quadcopter either with the included remote controler or through phone APP. Its manufacturer recently announced an upgraded version of this drone called XS809S Battles Sharks. Find out more about this Mavic clone in our in-depth VISUO XS809HW review. Like the Visuo drone, the Eachine E58 also follows the Mavic’s design. 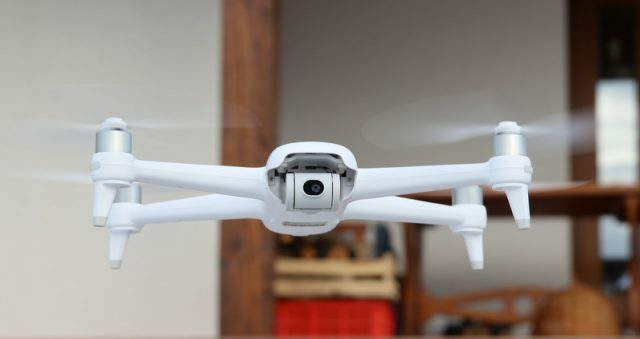 In order to make it more safe for newbie pilots, the manufacturer includes removable propeller protectors with the drone. For extended fun time you can opt to purchase the Eachine E58 in bundle with 1, 2 or 3 flight batteries. Despite its friendly price tag, the E58 drone brings Headless mode and Altitude hold features. While Headless mode eliminates the need to keep track of the orientation of the aircraft, altitude hold automatically maintains the flight height at the desired level. During night flights you will be guided by 3 LED lights. The Eachine E58 has two white LEDs in front and one red on back. Eachine E58 is a fantastic choice for a beginner drone that won’t break the bank. Of the many drones I reviewed in 2017, due to its cool design and wide array of newbie orientated features, it deserves the title of Best Starter Drone. 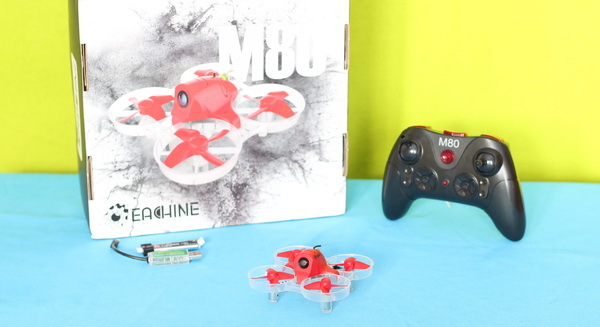 Find out more about this cheap foldable quadcopter in our Eachine E58 review. Our current pick for the best FPV trainer quadcopter is Eachine M80S. It features in the same time Altitude hold, Angle and Acro flight modes. From newbies to advanced pilots, all can have fun playing with this little bird. No need to hide that Eachine’s engineers were deeply inspired by the design of the epic Tiny Whoop. The M80S features similar ducted propeller protectors and canopy. Measuring just 100 x 100 x 50 mm, it easily fits into your pocket. Check our Eachine E80S review for the complete list of pros and cons of this FPV trainer drone. As you can see in the image above that the JJRC H37 comes without any remote controller. You can control the Elfie drone’s movements through phone APP – via onscreen sticks or phone’s gyro sensor. Being a drone launched early in 2016, it has only a basic 0.3MP camera. The JJRC H37 can record videos with 720 x 576 pixels. The H37 Elfie drone is packed with a nice velvet carry bag, battery charger and a complete set of spare propellers. Honestly, JJRC’s promo video of the H37 Elfie quadcopter is a bit exaggerated in terms of video quality and flight performances. Using the virtual sticks is not that easy to land on your palm, especially outdoor where the wind makes it difficult to control accurately. Anyway, for its price it can be a very nice Christmas gift. I don’t want to boast about it, but probably FirstQuadcopter.com was the first drone blog which reviewed the JJRC H37. Since than, JJRC released a more compact version with upgraded camera and one handed remote controller. Surely, this flying machine isn’t for newbies. Being damn fast, you need serious piloting skills in order to have fun with the HolyBro Kopis 1. The Kopis 1 has only one drawback: it is expensive! In addition to the 300 bucks that you pay for the drone, you need to pay $100 for the transmitter and another $50 for the LiPo battery. If you want to fly FPV you will also need to pay 70~300 dollars for FPV goggles. Of course, for its price, you get top-notch hardware. The Kopis 1 is build on a robust 4mm thick carbon fiber frame. A versatile F4 flight controller serves as its brain. As eye, HolyBro opted for the professional RunCam Swift camera. From packaging to flight performance, the HOLYBRO KOPIS 1 is almost the perfect racing quadcopter. It is fast, stable and very responsive. Made of 3K carbon fiber, it takes crashes well. Flying mainly LoS, the lack of headlights was a bit disappointing for me. A bright LED light can help you determinate the orientation of the aircraft from a large distance. 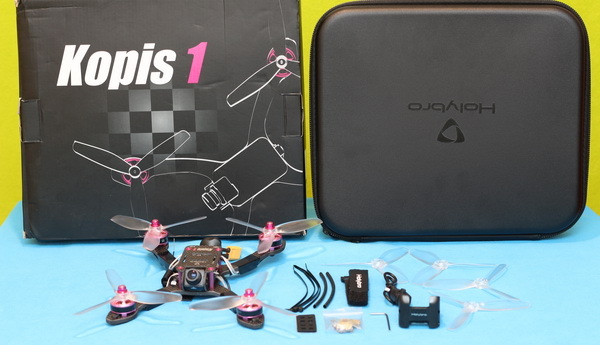 If you are looking for a professional grade racing quadcopter, you should definitively check our HolyBro Kopis 1 review. The Kopis 1 is not just one of the best looking racing drone that we reviewed in 2017, but probably also the fastest one!